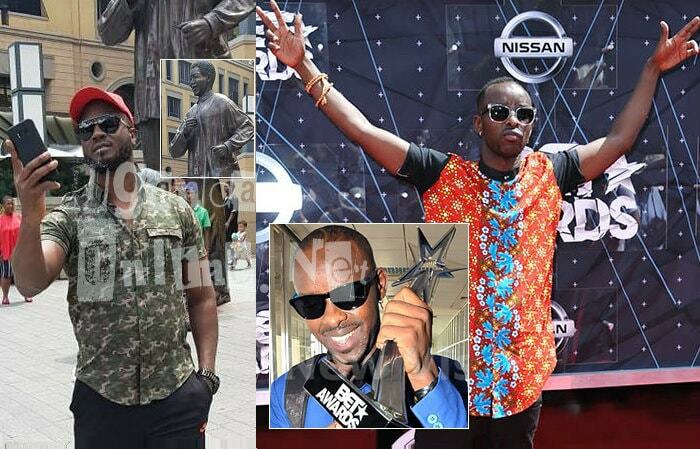 Bebe Cool takes a selfie at Mandela Square in South Africa and Eddy Kenzo who sometimes refers to himself as the 'Young Mandela' shows off his 2015 BET Award-Viewer's Choice category. Bebe Cool is currently in South Africa to record videos, but before leaving, he made a post on his wall that has not gone down well with fellow artists. 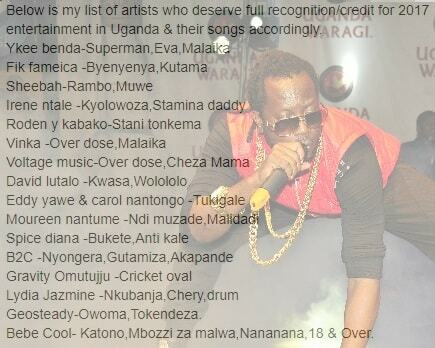 Eddy Kenzo had a bone to pick with Bebe Cool over the list. In his list of artists that he thinks have done so well did not include Eddy Kenzo, Chameleone, Radio and Weasel and Bobi Wine among others. However, if anyone feels that their name should be added, they can go ahead and add it, but as for me, I will be doing the same in the year 2018 and if you want your name to be included, you should work hard. "We should not be fighting in the year 2018, we should instead fight Nigerians musically and now, even Tanzanians are penetrating our space. Bebe Cool is stagnant and as for the list, that was his thinking, but also, he should not judge others, he had better leave that to the media." "Bebe is old enough, he should instead be supporting us than fighting us. My songs are playing in Malawi and other African countries," Kenzo concluded. "Then let him go to Malawi because me I was talking about music in Uganda."